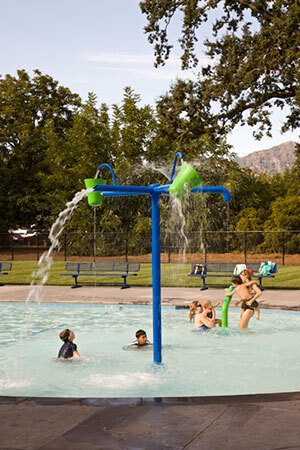 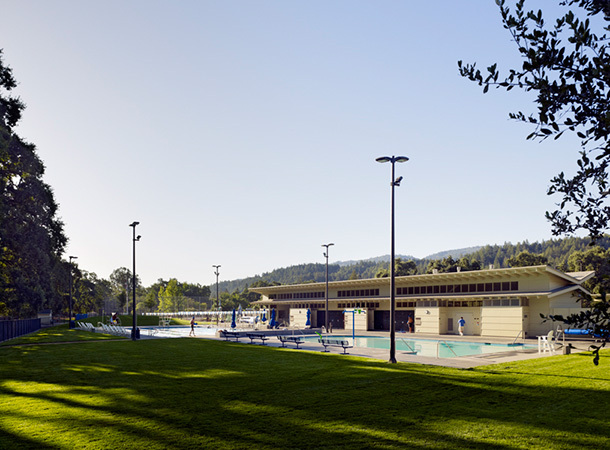 We worked with the City of Calistoga and community members to design a new pool complex to serve Calistoga and particularly its children. 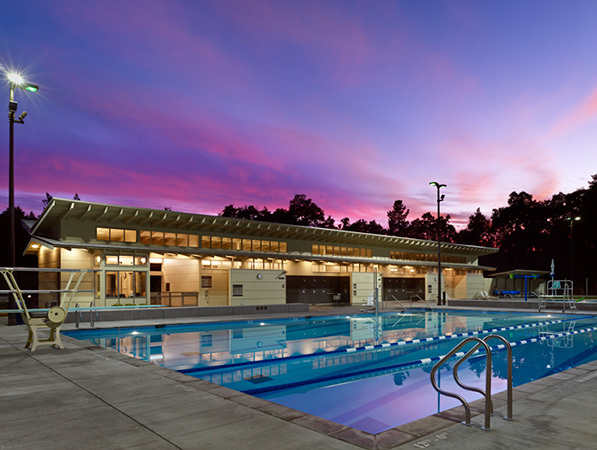 We developed a master plan that responded to long-term project goals and then narrowed the scope of the first phase to meet the city’s minimum requirements and limited budget. 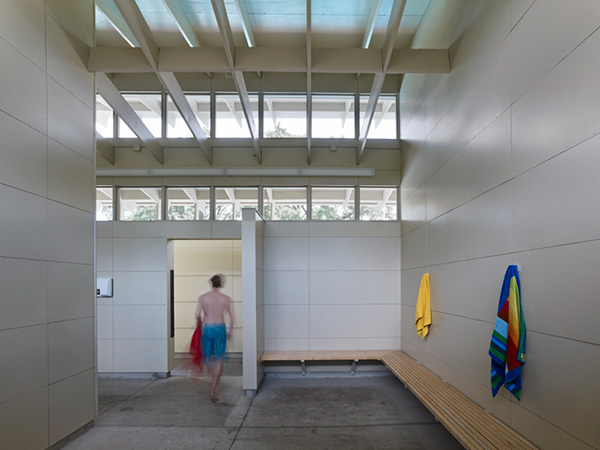 Phase I of the project included two pools and a simple bathhouse structure. 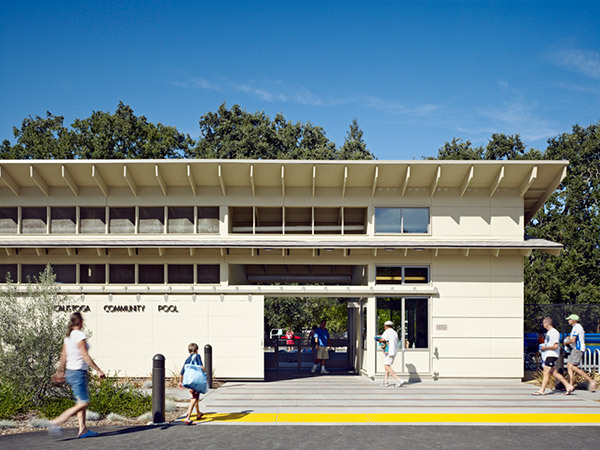 In order to create a coherent sense of place, we sited the pools between the new bathhouse, an acoustic wall, and a row of large existing valley oaks. 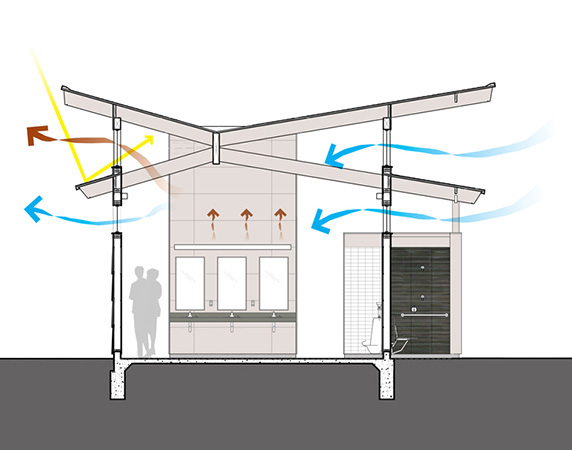 The bathhouse was designed as a covered, open-air pavilion with a “butterfly” roof shaped to optimize natural ventilation. 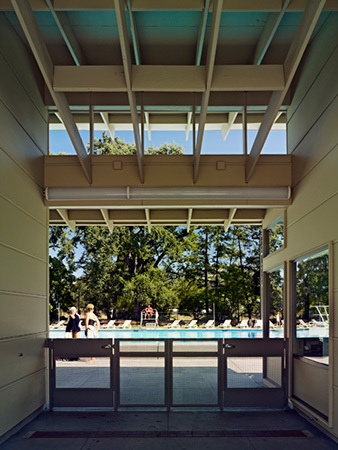 Our design strategy substantially reduced both construction costs and long-term operational costs: first by designing the building to “self-ventilate” and eliminate most elements of the mechanical system; and second by planning for a Phase II addition of rooftop solar thermal panels and an underground geothermal system to heat both pools.